On my way to the annual C&O Modelers Weekend at Hawks Nest State Park, I followed various former C&O branches which yielded the following trains. 1. 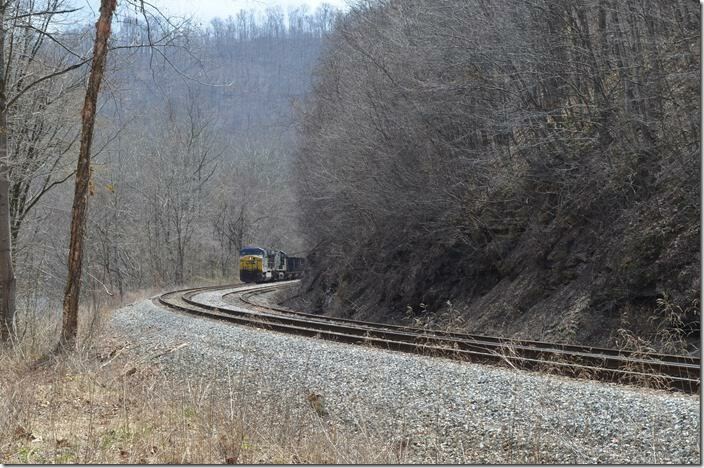 CSX 13 on H840 has departed Danville Yard and is heading up the Pond Fork SD at Pond Junction with 150 empty tubs for Patriot Coal’s Rocklick mine. 2. 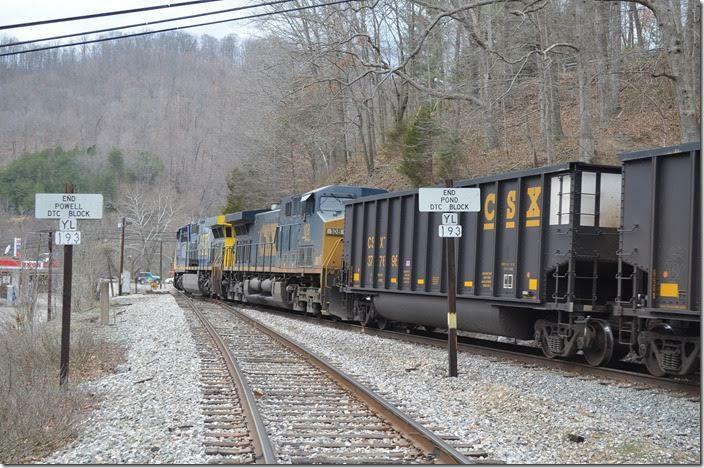 CSX Helpers 108-685 will lend an assist at loading the train and will be the leaders on the way back. Pond Jct. 3. 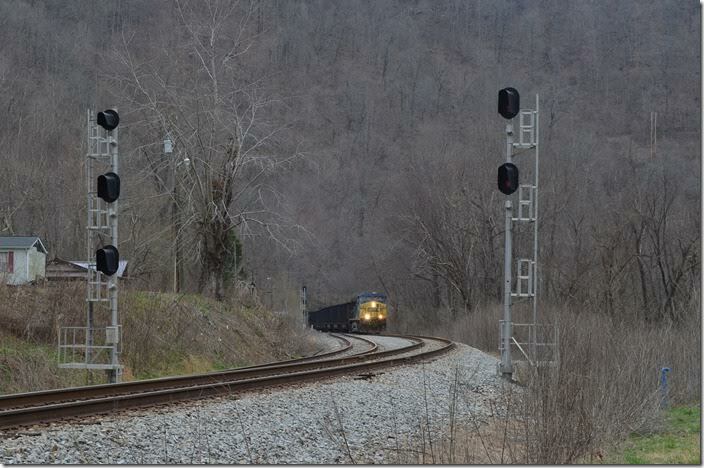 H840 proceeds east past the west end of Lanta passing siding. Lanta is a CTC island in the middle of the track warrant Pond Fork SD. 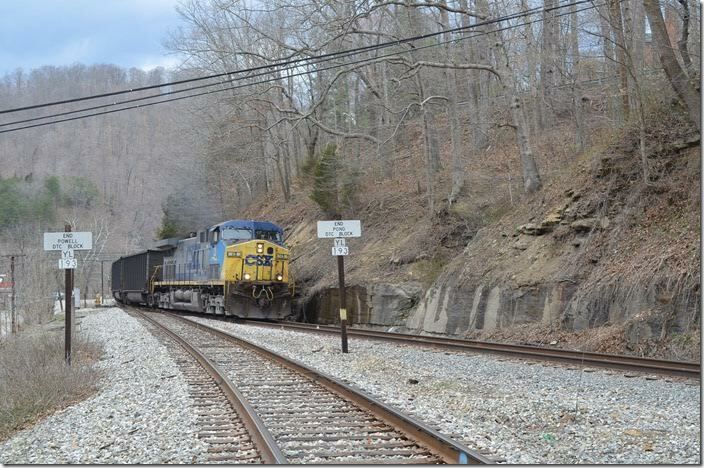 CSX 685-108 Pond Jct. 4. 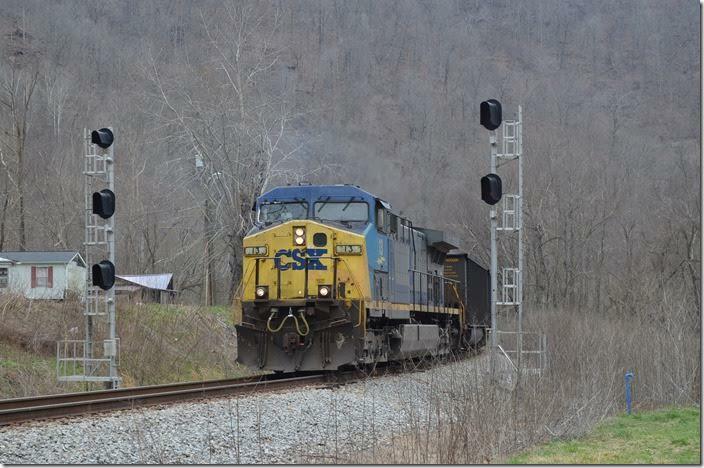 CSX 13 H840 proceeds east past the west end of Lanta passing siding. Lanta is a CTC island in the middle of the track warrant Pond Fork SD. View 2. 5. 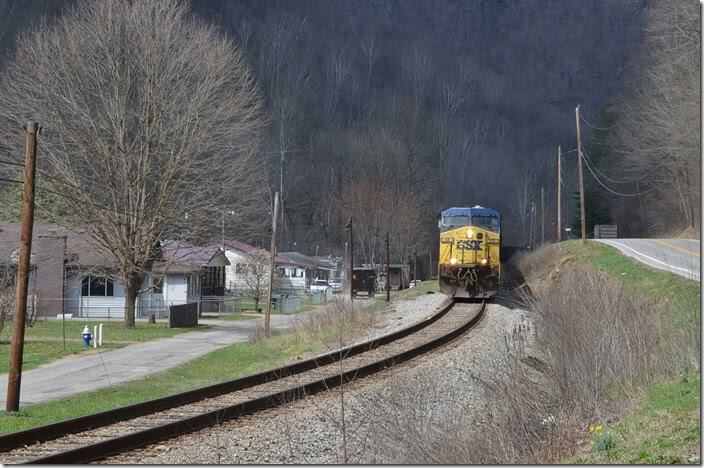 CSX 13 H840 eastbound at Bigson near Van. WE Lanta. 6. H840 eastbound at Bigson near Van. View 2. CSX 685-108 WE Lanta. 7. H840 eastbound at Bigson near Van. View 3. 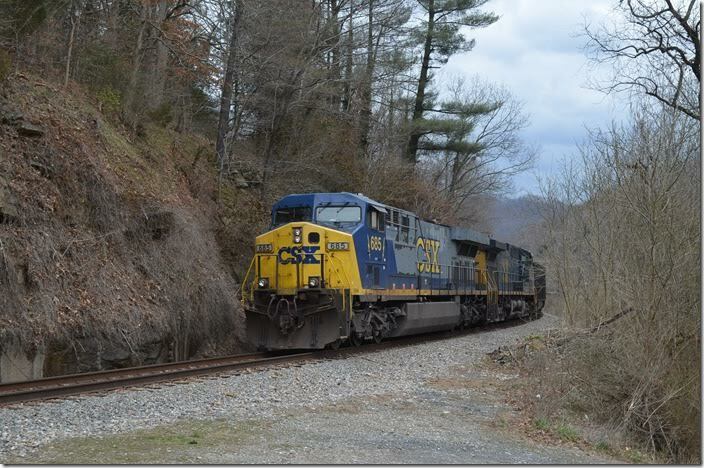 CSX 685-108 WE Lanta. 8. H840 eastbound at Bigson near Van. View 4. 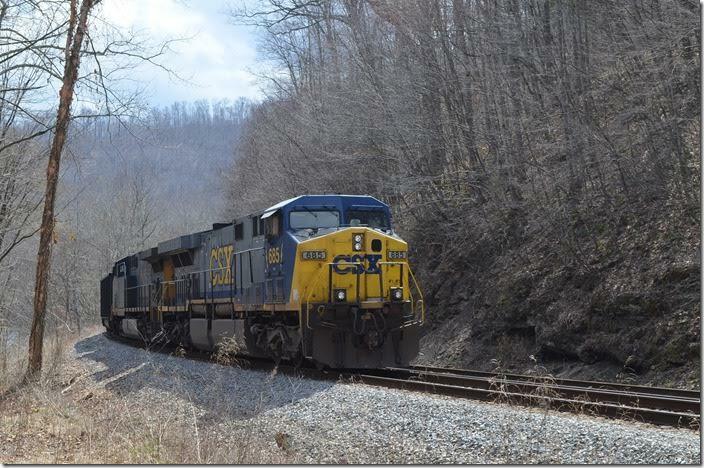 CSX 13 Bigson. 9. 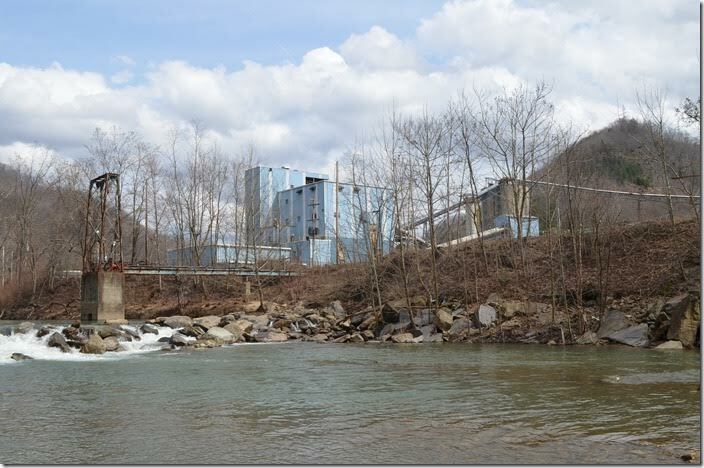 Performance Coal (Alpha Natural Resources) Goals preparation plant at Sundial on the end of the Big Marsh Fork SD. 10. 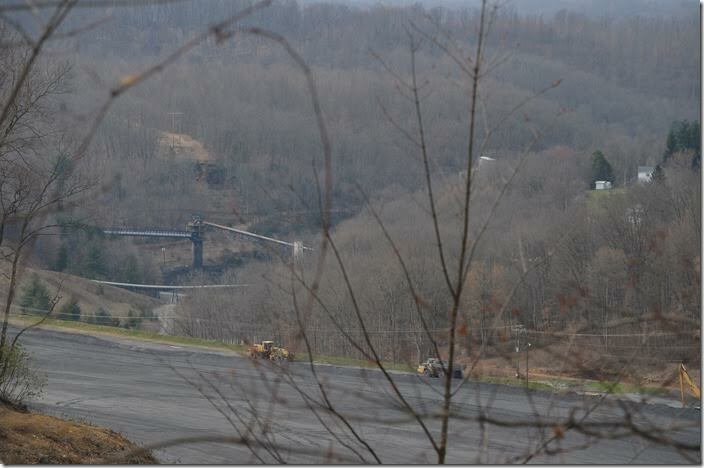 Arch Coal’s Beckley Pocahontas refuse dump taken off Old Eccles Road near Beckley. The Piney Creek SD is on the hill above the stacking tube. 11. 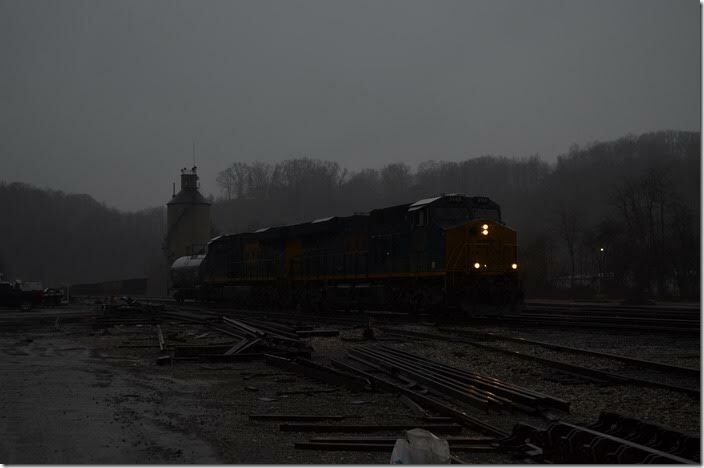 CSX 3148-853 is switching at Raleigh Yard near Beckley. This downpour came just as I arrived. I got wet, but the poor conductor got drenched! I decided to head on to Anstead. I stopped by Tamarac, but I was prevented from spending money because of a power outage! They closed early!